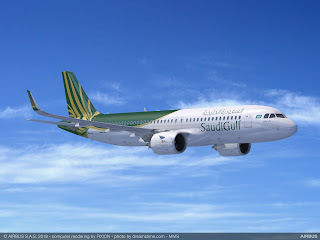 SaudiGulf Airlines has reached an agreement with European planemaker Airbus to purchase ten A320neo family aircraft, it was confirmed on Thursday, November 15th at the Bahrain International Airshow. SaudiGulf Airlines, owned by Al-Qahtani Aviation, started operations in 2016, mainly serving domestic destinations from its hub at King Fahd International Airport at Dammam (DMM) before recently branching out into international routes. During October 2018 the airline launched four new routes to the Pakistani cities of Islamabad (ISB), Karachi (KHI), Lahore (LHE) and Sialkot ((SKT) to enhance its international operations and flies a fleet of six A320 aircraft. 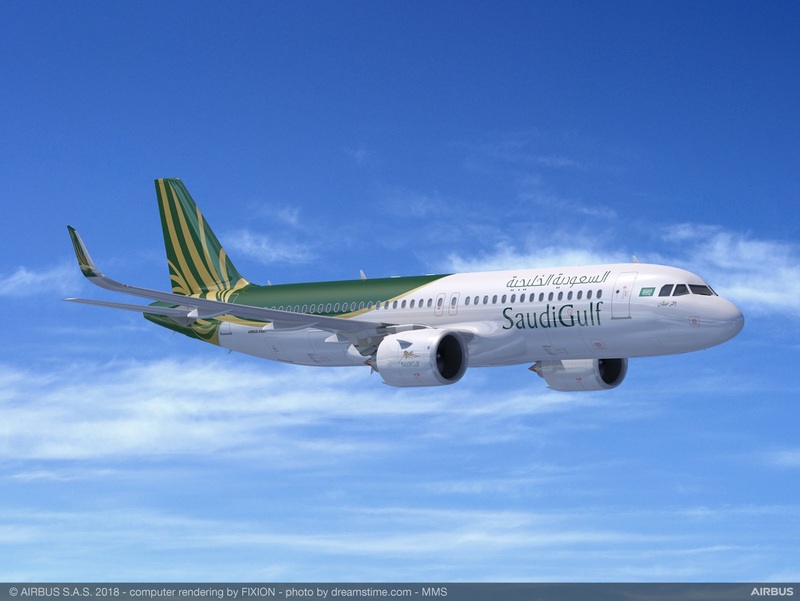 This new order for A320neo's from Airbus comes just two days after another Saudi Arabian airline, Flynas, took delivery of the first A320neo for a Saudi based airline. The new arrival, handed over on Tuesday, November 13th is the first of 80 aircraft the carrier has on order with Airbus, which are scheduled to be delivered between now and 2026. The new engine offering version of the A320 is proving very popular for operators in Saudi Arabia, low-cost-carrier Flyadeal is understood to be close to signing a deal for 30 of the type in the very near future. Although the airline has also been considering the new 737 Max models from US manufacturer Boeing, sources close to the evaluation team indicate that the deal from Airbus is much more advantageous for the budget carriers operations. An announcement is expected from CEO Con Korfiatis before the start of December 2018.